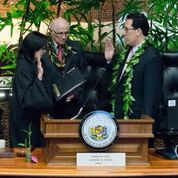 Representative Jarrett Keohokalole is a proud seventh-generation resident of the 48th House District, including Kane'ohe, He'eia, 'Ahuimanu, Kahalu'u, Waihe'e, Ka'alaea, and Waiahole. 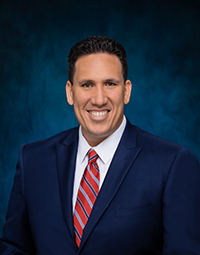 Elected to office in 2014, he is currently the Vice-Chair of the Committee on Labor & Public Employment (LAB) and also serves on the Finance (FIN), Transportation (TRN), and Public Safety (PBS) committees. Representative Keohokalole attended public school in Kane'ohe before graduating from St. Louis School, and holds a B.A. in Journalism from the University of Hawaii at Manoa and a J.D. from the William S. Richardson School of Law at the University of Hawaii, with a Certificate in Native Hawaiian Law. Representative Keohokalole is married to his wife, Ku'ulani Miyashiro Keohokalole, and together they have two children. Come to remember and play to win! This is a reminder to be prepared during the Hurricane season that lasts until November 30, 2015.  Know the history of high winds and heavy rains and flash flooding in your area.  Learn the location of officially designated civil defense shelters for your area.  Check the condition of emergency equipment, such as flashlights & battery-powered radios.  Ensure that enough non-perishable food and water is on hand to last for at least two weeks.  Prepare a survival kit for home use or to take to a shelter. Use the list in your telephone book as a guideline.  Be aware of the structural limitation of your home and reinforce your home against high winds.  Obtain and store materials such as plywood and plastic necessary to secure your home.  Check your home for loose and clogged rain gutters and downspouts.  Keep trees and shrubbery trimmed. Cut weak branches and trees that could fall or bump against the house.  Determine where to move your boat in an emergency.  Review your insurance policy to ensure it provides adequate coverage.  Individuals with special needs should plan ahead for their appropriate medical conditions. City County Chair Ernie Martin, Senator Gil Riviere and myself invite you to a demonstration by CCH Global Consulting for a possible solution to the contamination existing in many of our waterways, including the Kahalu'u Flood Control Lagoon. The Hawaii Department of Transportation (HDOT) invites the general public and all interested parties to an informational meeting regarding proposed improvements to Kahekili Highway. This HDOT Highways Division project is to provide environmental documentation for proposed improvements to Kahekili Highway as required under the National Environmental Policy Act (NEPA), the Hawai'i Revised Statutes (HRS) Chapter 343, Section 106 of the National Historic Preservation Act (NHPA), and other state and federal requirements. This bill waives DOH water quality certification requirement for restoration, repair, and operation of Hawaiian loko i'a (fishponds) that are permitted under the Statewide Programmatic General Permit process, administered by the DLNR. On Monday, June 8, 2015, House Bill 1296 was signed in the Governor's Ceremonial Room on the Executive Floor. This bill designates the State Hydrogen Implementation Coordinator and establishes a Hydrogen Implementation Working Group. The Richardson Law & Justice Summer Institute is an intensive one-week summer program for high school students interested in justice, the law, and legally related professions. Students participate in a variety of law related educational activities including preparing for and taking part in a mock trial and moot court activity, visiting the State Capitol, the Hawaii Supreme Court and the offices of downtown law firm, attending classes on subjects such as Criminal Justice, Constitutional Law, and Native Hawaiian Rights. The purpose of the Richardson Law & Justice Summer Institute is to introduce high school students to issues of law and justice; build students' skills in discussion, research, debate, analysis, and advocacy; and provide tools inspiration to become active and involved citizens of their communities. Mahalo to Representative Kaniela Ing and Senator Will Espero in this great effort to support Richardson Law & Justice Summer Institute! Thank you for granting me the opportunity to serve as your voice in the House of Representatives this 2015 legislative session.